Hi guys! Today, In my brief description, I would like to explore the awesome features and merits of android multi tool latest version V1.02. It is the best pattern lock removing tool and it is available free in android world. It allows the easy way for its android phone users to perform multiple tasks at the same time. By using this awesome tool, you can remove/unlock pattern lock from any android device having any android version. This magic tool also helps remove pin lock. It is suggested that when you any type of lock pattern or pin password, write down the the pattern type or pin password in your note book for future reference so that if you forgot the pattern or pin password applied to your android device, you could get the code from your note book. 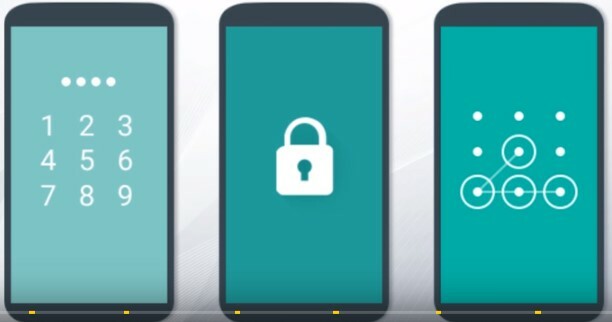 Majority android phone users forget the pattern lock or pin password and then they try their best to remove or unlock the pattern applied but in spite of doing their best, they can not do the task. Becoming disappointed, the go to mobile market and consult with the technical experts. Now, what the technical experts do? They generally, download all types of mobile tools freely for every brand and mobile models and keep them in a took kit or bucket. The take the defective mobile and connect it with their PC. Within a few minutes, they complete the task and take money from the owner of the defective mobile for paying nothing. If you have this amazing tool with you then you don't need to consult with the technical people. You can do the task by your self. No high level skills are needed to perform the task. By having a little bit know how about removing of lock pattern,you can do this task very easily and smoothly. This free tool removes your mobile's pattern or pin lock just in a few minutes. What do you do is just download this free and magic tool from the link shared below and install it on your PC. Android Multi Tool full setup Latest Version V 1.02b Pattern Lock Remover has gotten attention of huge number of its users worldwide due to its well working trust. The newest version of Android Multi Tool full setup Latest Version V 1.02b Pattern Lock Remover has come with unique built-in-features. In the following lines, some of brilliant features of Android Multi Tool full setup Latest Version V 1.02b Pattern Lock Remover have been listed. You can bypass your Google account of your mobile without known previous information like e-mail ID or password. You can install new firmware on your android smartphone or downgrade it to the old version. All the brilliant features of Android Multi Tool full setup Latest Version V 1.02b Pattern Lock Remover are completely free and there are no hidden charges for any feature. Android Multi Tool full setup Latest Version V 1.02b Pattern Lock Remover is very easy to use and any new user without having previous knowledge can use this amazing tool. Above all the features mentioned above, this tool is compatible with all Windows versions, like, Windows 7, Windows XP, Windows Vista, Windows 8, Windows 8.1 and Windows 10. Another best feature of Android Multi Tool full setup Latest Version V 1.02b Pattern Lock Remover is that it is a portable application means, you don't need to install it on your PC rather you can directly launch the application without installing. To enjoy the best and brilliant built-in-applications of this unique tool, just go to the link shared below and click on the download button. After tapping of the download button, your download will start within few minutes. The download process will take some time so be patient and wait for its proper downloading. The link shared below is trustable and well working and it is also free of dangerous viruses. In case of any hurdle during downloading, please contact with us through your comments in comment down section. Your feedback would highly be appreciated and regarded and our technical team will do its best to resolve the issue.